The G2™ Wireless Adapters allow you to control your salon without the need to run cables throughout your salon. The G2™ Wireless modules use a 900MHz RF signal to communicate without the need to run cables. The G2 Wireless adapters can reach up to 300 feet. 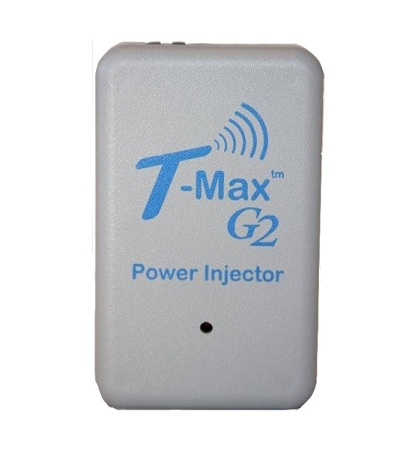 The G2™ Power Injector connects to any T-Max® Timer that is not wireless ready, allowing you to connect any T-Max® timer that has ever been manufactured to be connected wireless. Simply connect the G2™ Access Point to the G2™ Power Injector, then connect the G2™ Power Injector to the T-Max® timer or T-Max® Manager/Pro and you will not need to run cables throughout your salon.